I met him at game 3 of the Florida State League Championship at McKechnie Field in Bradenton, Florida in 2016. Due to planned construction to the Tampa Yankees home stadium, the entire series was played in Bradenton where Tampa got to play as the home team for game 3. 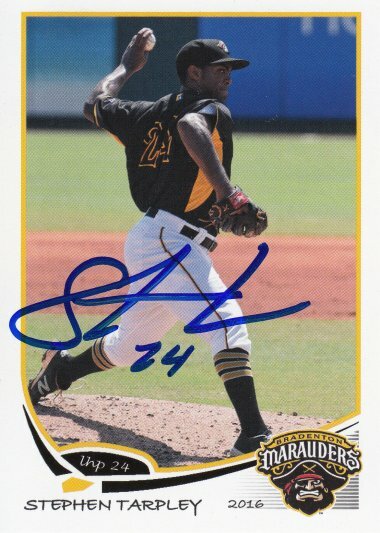 Stephen signed a 2016 Bradenton Marauders Team Set card. He had just been traded from the Pirates to the Yankees 13 days before I got this card signed.